The past few years in Alberta politics have reminded us that politics can be an extraordinarily unpredictable and forecasting the future can be a very tricky business for political pundits. Aside from the obvious choices of Premier Rachel Notley, Finance Minister Joe Ceci and Wildrose leader Brian Jean, here is a list of eleven Alberta MLAs worth watching in 2016. Deron Bilous (Edmonton-Beverly-Clareview): As Economic Development and Trade Minister, Deron Bilous faces the challenge of proving the government’s job creation plan can work as the provincial economy faces declining international oil prices. Greg Clark (Calgary-Elbow): As leader of the one MLA Alberta Party opposition, Greg Clark is punching above his weight in getting media attention and working hard to position himself as a moderate conservative alternative to the NDP and Wildrose Parties. He was also the only opposition MLA to propose an alternative budget and climate change plan in 2015. Nathan Cooper (Olds-Didsbury-Three Hills): With a detailed knowledge of Assembly rules and procedure, Official Opposition House Leader Nathan Cooper will prove to be a valuable asset to the rookie Wildrose Caucus. Deborah Drever (Calgary-Bow): Elected as a New Democrat and sent into legislative exile as an Independent after embarrassing social media posts were reported, she has been the target of relentless personal attacks by Wildrose MLAs and anonymous internet trolls. She has redeemed herself as a well-spoken representative and shepherded her first private members’ bill – Bill 204 – to unanimous approval in the Legislature. Expect Ms. Drever to be invited to rejoin the NDP caucus in 2016. Derek Fildebrandt (Strathmore-Brooks): Probably the most high profile Wildrose MLA, Derek Fildebrandt is the loudest critic of the NDP government. But his hyper-partisan outbursts, including an embarassing fight with a Globe & Mail reporter and an angry tweet directed at the Assembly Speaker, are not necessarily the kind of attention his MLA colleagues are pleased to receive. Can he tone down the rhetoric and offer reasonable solutions and alternatives in 2016? Sarah Hoffman (Edmonton-Glenora): As Health and Seniors Minister, Sarah Hoffman is well-spoken and smart as a fox. She can explain complex issues and spar with the opposition with ease. She is a contender for strongest member of Rachel Notley’s cabinet, and I place her in the “future Premier material” category. Sandra Jansen (Calgary-North West): Sandra Jansen is the voice of the moderate wing of the Progressive Conservative Party. She has publicly clashed with interim leader Ric McIver over his decision to endorse the federal Conservatives, and with Wildrose supporters over her decision to endorse Liberal candidates in the 2015 federal election. Her record as a vocal opponent of a merger with the Wildrose would make her a candidate to watch in her party’s next leadership race. Danielle Larivee (Lesser Slave Lake): Appointed to cabinet as Minister of Municipal Affairs and Service Alberta in a fall shuffle, Danielle Larivee has proven herself as a tough and well-spoken advocate. As one of the government’s point-people for the fumbled Bill 6 Farm Safety Bill, she demonstrated her toughness. A Registered Nurse, she is also co-chair of the government’s review of mental health services, which is expected to be released early in 2016. Prasad Panda (Calgary-Foothills): When he won a Sept. 2015 by-election in Jim Prentice’s former constituency, he became the Wildrose Party’s only MLA from Calgary. He has been quite quiet since his win, but Mr. Panda’s performance as MLA over the coming years could determine how far his rural-based party might expand its presence in Alberta’s largest city. Shannon Phillips (Lethbridge West): Smart, passionate and a fierce partisan, Shannon Phillips impressed many with her calm and cool delivery of Alberta’s climate change plan ahead of the Paris Climate Change conference in Nov. 2015. As Environment and Parks Minister, she helped bring together oil industry leaders and environmental groups to endorse the province’s plan. Selling the plan and its carbon tax to Albertans over the next year will be a serious test of Ms. Phillips’ political skills. Richard Starke (Vermilion-Lloydminster): As a critic of Bill 6, Richard Starke took a more reasoned approach to criticizing the farm safety law and avoided the hysterical and negative reactions characteristic of his counterparts in the Official Opposition caucus. One of two remaining rural PC MLAs, he is said to be interested in making a bid for his party’s leadership. The Under 30s: Jon Carson, Michael Connolly, Estefania Cortes-Vargas, Thomas Dang, Trevor Horne, Anam Kazim, Stephanie McLean, and Graham Sucha. The Under 30s: Another result of the massive turnover in the legislature last year was a significant drop in the average age of Alberta’s MLAs, from 53 to 40 years old. Among the newly elected younger MLAs are a handful who are under thirty-years old (including Ms. Drever, who is noted above). While it is not uncommon to have one to two under-30s elected to the Assembly from time to time, I cannot remember a time when so many were elected at once. It is a refreshing change, as younger Albertans bring a very different perspective than the typical older, greyer elected representative. 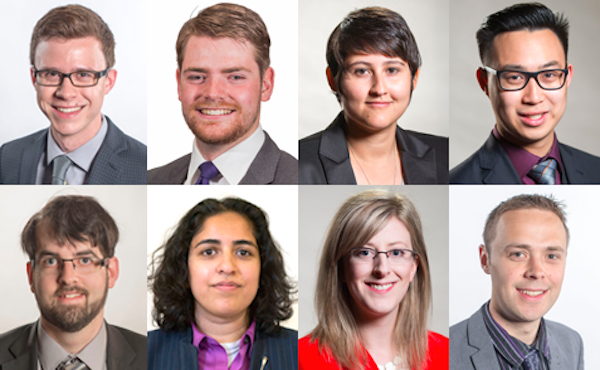 There could be future cabinet ministers or party leaders in this group, so in 2016, I will be keeping an eye on Edmonton-Meadowlark MLA Jon Carson, Calgary-Hawkwood MLA Michael Connolly, Sherwood Park-Strathcona MLA Estefania Cortes-Vargas, Edmonton-Southwest MLA Thomas Dang, Spruce Grove-St. Albert MLA Trevor Horne, Calgary-Glenmore MLA Anam Kazim, Calgary-Varsity MLA Stephanie McLean, and Calgary-Shaw MLA Graham Sucha. Compare this list of Alberta MLAs to watch to previous lists from 2015 and 2014. This entry was posted in Alberta Politics and tagged Alberta MLAs to Watch in 2016, Alberta NDP, Anam Kazim, Brian Jean, Danielle Larivee, Deborah Drever, Derek Fildebrandt, Deron Bilous, Estefania Cortes-Vargas, Graham Sucha, Greg Clark, Jim Prentice, Joe Ceci, Jon Carson, Manmeet Bhullar, Michael Connolly, Nathan Cooper, Prasad Panda, Rachel Notley, Ric McIver, Richard Starke, Sandra Jansen, Sarah Hoffman, Shannon Phillips, Stephanie McLean, Thomas Dang, Wildrose Party on January 8, 2016 by Dave Cournoyer. Low blow, Luke. With social media, something like that would probably end up on the internet, so I expect he’s taking extra care not to do embarrassing things like that. Good list, Dave. Though Fildebrandt and Phillips are also likely to flame out. Depends if they can keep their impulses in check. With you on the need for Phillips to cool her verbal jets. The ‘we’re great and your not’ attitude reminds me of Klein some days. Most people vote on ideological or partisan lines. Fildebrandt’s tactics have generated attention at the heavy handed nature of this government and have been entirely effective. He needs to continue these or even ramp them up in the new year. Richard Starke is an embarrassment and, along with Sandra Jansen, belongs in the Liberal party if either of them would admit their true colours. What about Mike Ellis? He’s the one pushing for a right wing merger. What has Trevor Horne done besides being young that would warrent being an MLA to watch? I find it odd you call Clark’s proposals “moderate conservative”, seeing as his and his party’s ideology is more like “moderate progressive”; that is, more centrist but still leaning progressive. He’s only conservative if conservative = any amount to the right of the NDP. But that’s just false, as to the right of the NDP you still have space on the centre-left and centre. The Alberta Party is just another party trying to mask how left wing they are. Starke- measured response to farm safety. Ummm- maybe not showing up at rallies with those hysterical ppl! He is deeply concerned as I have been in contact with him- he is hoping for some changes also! Hysterical response – so if your lively hood is threatened you cannot speak out. For example watch the greenhouse business in the Next few months- tell me how many are left at the end of 2016- not hysterical here just challenging you to watch! So it is ok for unions to go on strike and rally when they feel they are wronged, but not ok for farmers and ranchers? That does not make any sense- and if you had bothered to find out what the problem was, perhaps you would not label it hysteria. For openers, every agribusiness that I know carries insurance for their workers – it is just not WCB which is more expensive and affords less coverage to the worker. There are employers who are right now facing their employees telling them they will have less coverage than previously and to make up for the cost difference some of them will be going down the road! While you are correct in your estimation of Sarah Hoffman (which appear to be shared by many other folks), I do not believe that she is a rising star. I’ve watched her at Edmonton Public School Board meetings and sure she is ambitious and well spoken but so what? So are most politicians. You need more than ambition and chatter to advance in politics. You need deliverables. Where are these deliverables in health and seniors’ issue? I am unimpressed by the Health Minister’s performance to date. There has been a failure to communicate with citizens from the very beginning, abysmal information release to questions –so much so that Alberta Connects refers all my health questions to the government of Alberta to some Bermuda Triangle at Alberta Health where these questions disappear. This is not transparent government. The lack of information provision is worse than what was present with the Tories. At least with the Tories, I got answers to my questions. Now it is a wall around Alberta Health. This failure to communicate with citizens–even citizens who voted NDP like myself is concerning and will have to be the first matter that changes at Alberta Health. Frankly, I am disappointed with the entire collection of MLAs we elected; the NDP government isn’t what I had hoped for —and I am not the only one who is dismayed by their failures to take action in pertinent areas such as continuing care. The silence and failures to act about issues in continuing care as well as health care indicate to this citizen that the NDP as a whole are going to be minor in their evolution of these systems. No doubt Ms. Hoffman is smart and ambitious but she also has to do her work in terms of responding to problems in health care such as the abuses of vulnerable, frail citizens which are not being addressed. Does this health minister have the courage to change the lack of oversight, the failures to provide integrated care plans that appropriately address the needs of residents and introduce legislation about resident rights. It is important to ensure that residents have rights that prevent retribution acts for raising care concerns. I am doubtful Ms. Hoffman will do anything about the problems in continuing care other than take the business as usual route of the Tories. Nothing has changed in Alberta with the election of any of these MLAs and most of them will be replaced at the next provincial election. Not for the same old same old of the Tories. Greg Clark seems to be the only MLA who might be productive in this group. He might be able to make a new Conservative Party out of the failures of the Progressive Conservative Party of Alberta and he might be able to get the folks who don’t want to vote Wildrosie to vote for his party candidates at the next provincial election. I don’t know. 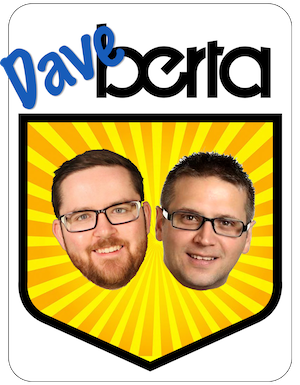 I met one of the Alberta Party cheerleaders once and he was a nice person but the Alberta Party just felt like the Progressive Conservative Party of Alberta in a nicer, uncorrupted format. But I might be wrong.